The Event has three categories to provide different challenges for different people: Open, Packaged Kit and Chef Category. The Open Category allows entrants to build their house at home and bring it to the event. 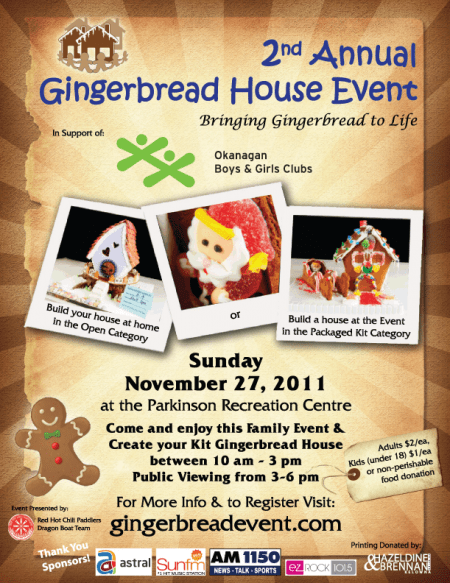 The Packaged Kit is where each entrant receives and builds a packaged gingerbread house kit right at the event. 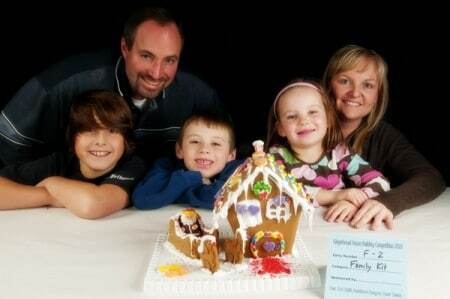 It’s an excellent option for the family to come for a fun event during the day. The Chef category allows cooks and chefs to enter their creation in a bragging rights competition. 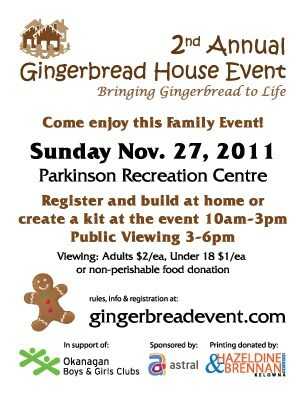 Registration in the Gingerbread House Event is available now at www.gingerbreadevent.com. Registration is $20, $25, or $30 depending on category and age. Rules and registration forms are available at our website. About The Okanagan Boys and Girls Clubs: The Okanagan Boys and Girls Clubs is a leading provider of programs to children and youth that support the healthy physical, educational and social development for over 6,000 young people and families each year throughout the Okanagan valley. Each centre creates a safe, supportive environment where children and youth experience new opportunities, overcome barriers, build positive relationships and develop confidence and skills for life. Our programs focus on an individual’s strengths and capabilities, and all programs embrace the principles of equality and inclusion. They help young people grow healthy, happy and safely from birth to adulthood, and are a resource and support for parents throughout their family’s involvement with us. 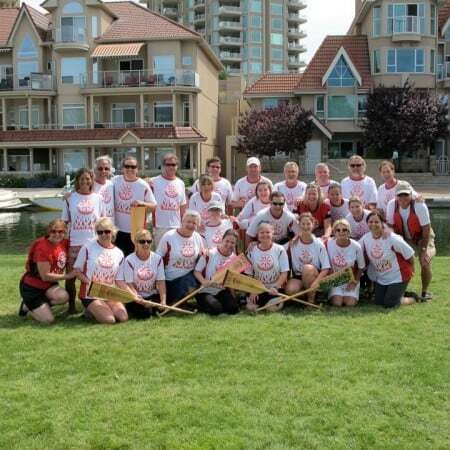 About the Red Hot Chili Paddlers Dragon Boat Team: The Red Hot Chili Paddlers are a co-ed recreational dragon boat team with the Kelowna Dragon Boat Club. The team is comprised of fun loving, active, outgoing paddlers from their 20’s to their 60’s from many walks of life who share one goal: To Have Fun! 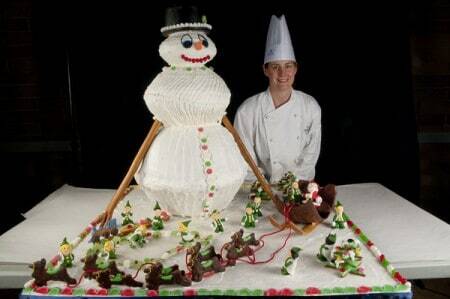 In 2010 the Red Hot Chili Paddlers undertook the planning and production of the 1st annual Gingerbread House Event with a vision of creating a premier event, a Kelowna family tradition, and an annual fundraiser to support the Okanagan Boys and Girls Clubs, and the local community.